This week we made usable again a small home office and a hallway closet. 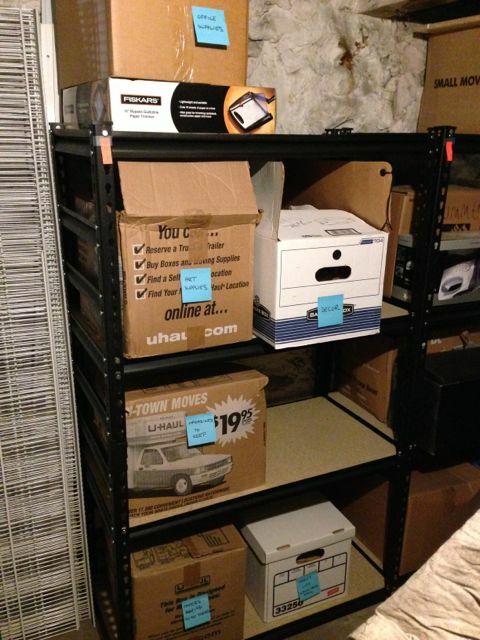 We also cleared one basement shelving rack of 2007 boxes. Getting started was emotionally difficult, but the results realized have kindled a spirit of success, positive expectations, and a strengthened resolve. Problem: The small home office had become out-of-order over several months. 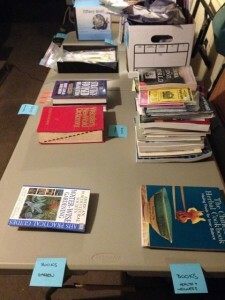 Action: We moved most of the content to a new office space (at the cottage), and tidied the reading and writing space. 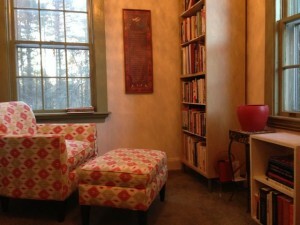 New Reality: Family and guests are able to use this room for reading, writing, email, printing, and private phone calls. Problem: The hallway closet had become unusable for our current life. It was stuffed with fitness and professional clothes (unworn since 2007), 2012 wedding gown, three vacuums, two suitcases, and several tote bags (filled with contents of 2007). Action: Fitness and professional clothing was re-ordered on shelving and hanging rack. The wedding gown was packed and transferred to an alternate storage area. One vacuum was put out-to-pasture and two were kept. Totes from 2007 were unpacked and returned to the closet for re-use; contents were sorted, purged, and re-packed for donations and future projects. 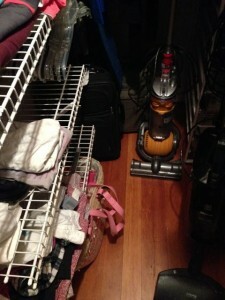 New Reality: Closet floor is visible! Vacuums and suitcases are accessible. Fitness and professional clothing is accessible. Empty totes are accessible. Problem: Boxes from a sudden move in 2007 have been stored unopened in the basement since we moved them there in 2009. The boxes are taking up space in the basement we could be using for other purposes. These boxes represented a life trauma (my life-interrupted and disintegrated in 2007) that was not ready to be un-packed until now (seven years later). Action: We moved boxes from one entire shelving unit, unpacked the tornado-hit-my-house contents, and meta-sorted the contents into clearly-labeled categories. New Reality: One (of approximately seven total shelving supports) shelving unit and one six-foot table now serve to help the meta-category sorting process.